If you can’t seem to satisfy your meat loving pallet at home, then it’s time to hit the road and discover some meaty goodness across the globe. Here are the best destinations for meat lovers. If you’ve spent more than three seconds on our site, you already know one of our passions is traveling the globe in search of the world’s best beer. But every beer is better with a perfectly complementary food dish, so naturally, we’ve discovered some incredible food in our travels, too. Food recommendations can be a challenge because everyone has their own tastes and preferences. That’s why we’re focusing this list on a more narrow category: the best places for meat lovers to visit. If you’re someone who genuinely appreciates high quality, well-prepared and perfectly seasoned meat, you need to add these destinations to your bucket list. You’ll notice that most of the destinations on this list are countries, while we’ve singled out a few American cities specifically. There are a few reasons for this. First of all, as brothers who grew up in the US, we have more knowledge of American cuisine than the food in other countries. Second, from our experience, America has a wider array of local dishes. Because the US is such a blend of cultures, you’ll see very different food in the Northeast than you will in the deep South. That’s why the first destination on our list had to be New York City. The “city that never sleeps” is known for many signature dishes, from pizza to bagels. For the purposes of this list, though, New York City is a must-visit because of its spectacular steakhouses. A truly well-handled steak is one of the greatest delicacies in America, and New York City has plenty of notable steakhouses to go around. 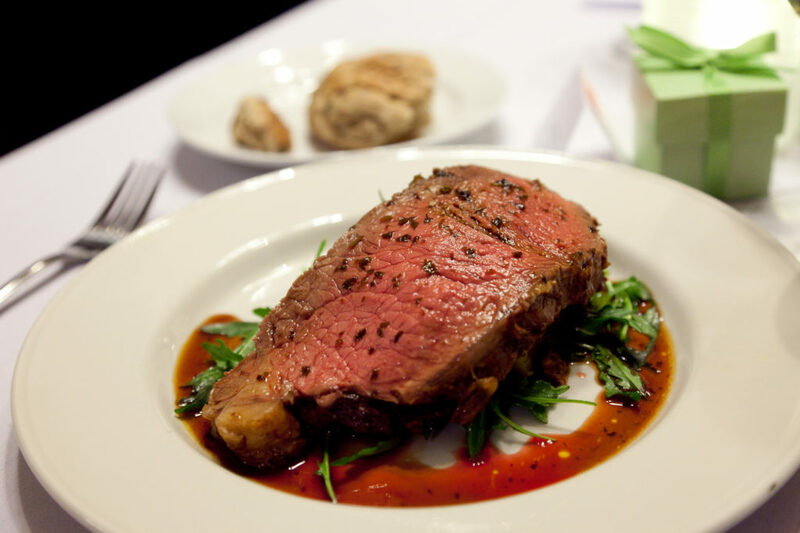 If you’re planning a trip, get more info about the steakhouses you need to visit. While we’re on the topic of steak, let’s talk about Brazil. Beyond its gorgeous natural views, Brazil is also known for its churrascarias. Churrascarias are Brazilian restaurants that focus on purely delicious cuts of meat. In many cases, the server comes to your table with a skewer that holds a variety of steaks. As a guest, you have the privilege of hand-picking the cut of steak you want. If (or when) you try Brazil’s famous churrascarias, don’t leave without trying a cut of picanha. This unique steak isn’t often served in other countries but Brazilian chefs have mastered it, and it’s a dish they serve with national pride. Before we get too stuck in North America, let’s hop over the pond and talk about Europe. Each European country has its own cuisine, and they’re all worth a stop. But among them all, our top recommendation for meat lovers has to be German food – and not just because of the fantastic beer that goes with it. Germany has a long tradition of specialized meats, and you haven’t truly lived until you’ve enjoyed an authentic wurst. Plus, did you know Germany also their own take on a hamburger? Let’s mix it up once again and head to a country that surprises many people when we give them the recommendation: Macedonia. The country might be small, but they have a passion for their local culture and it shines through in their delicious cuisine. When you head to Macedonia (because we know it’s on your list now), don’t miss their famous kebapche. This sausage-shaped minced meat is a national treasure. Depending on where you are, it’s sometimes referred to kebapi or cevapi instead, so be on the lookout. Now for a complete switch, let’s head back to the US and talk about southern barbecue. If you’ve spent any length of time in the American south, you know that while the region is famous for its barbecue: a style of cuisine that primarily smokes meat with a variety of spices and then soaks it any of a wide variety of sweet and/or spicy sauces. But if you’re not American, you may not know that each area of the region has its own take on barbecue. That’s why we couldn’t narrow it down to just one city for this list. Every meat lover truly needs to experience the authentic art of southern barbecue, but if you can, give your taste buds a variety. You’ll find different barbecue in the Carolinas, Texas, and Tennessee just to name a few, and there isn’t a bad one among them. If you’re in the southern US, you’ll also notice that Mexican culture has had a powerful (and delicious) impact on the region’s cuisine. The blending of the cultures has led to some great fusions, but you can’t miss the genuine Mexican food south of the border. Mexico has a rich history of perfectly seasoned meats, whether they’re served by themselves or as part of another signature dish. Let’s do another quick pop over into Europe, because Spain’s meat dishes are a must-try for any meat lovers. As far as national dishes go, Spain’s jamon iberico is tough to beat. This delectable cured ham can be served on its own or added to other local favorites. To add some variety to your food tour, don’t forget to try an authentic Spanish chorizo on your trip. No food tour is complete without a stop in beautiful Australia. As a country with its own continent, Australia is known for having a distinct array of wildlife, which leads to a can’t-miss lineup of local meats as well. Kangaroo steak is a signature delicacy that should be part of everyone’s trip to the “down under.” If you’re in the mood for something more casual without sacrificing your taste buds, Aussie meat pie is a no-brainer. No matter what your tastes are, experiencing the local cuisine is one of the best ways to get to know a new city or country. Great food is like a universal language that bridges the gap between cultures and helps us all understand each other better. We’ve learned this throughout our travels, and it’s a privilege to be able to share it with all of you. For more recommendations for meat lovers and beer lovers alike, check out our international food and beer blog.